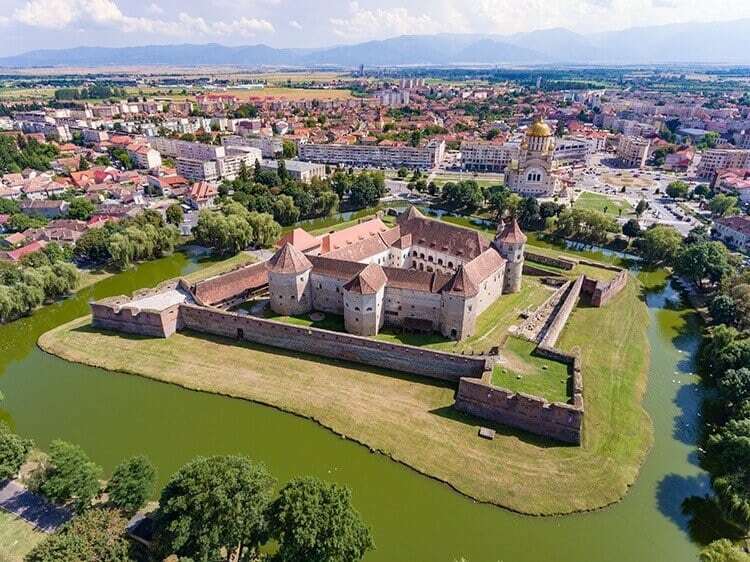 13 of the Best Castles in Romania that Should not be Missed! It’s not surprising that there are a lot of interesting castles in Romania. From the best castles in Romania, to fortresses, citadels and what is proclaimed to be haunted buildings! 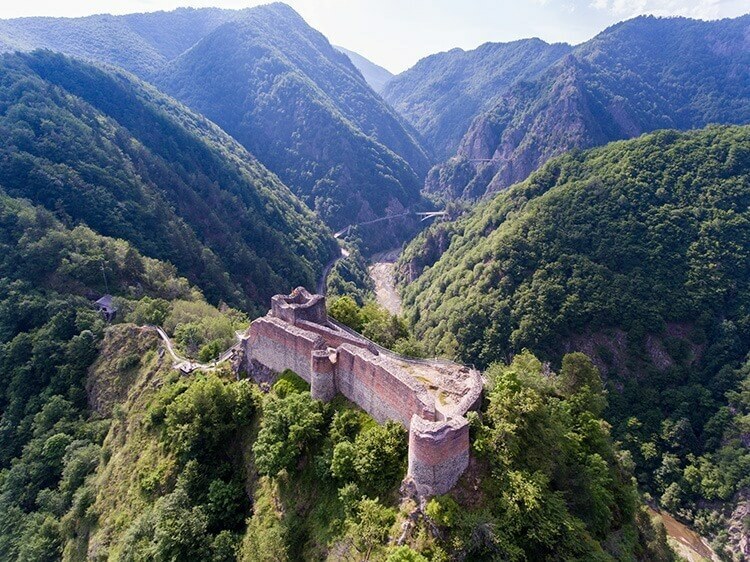 If you are heading to Romania, make sure to include at least some of these incredible Romanian castles on your list! 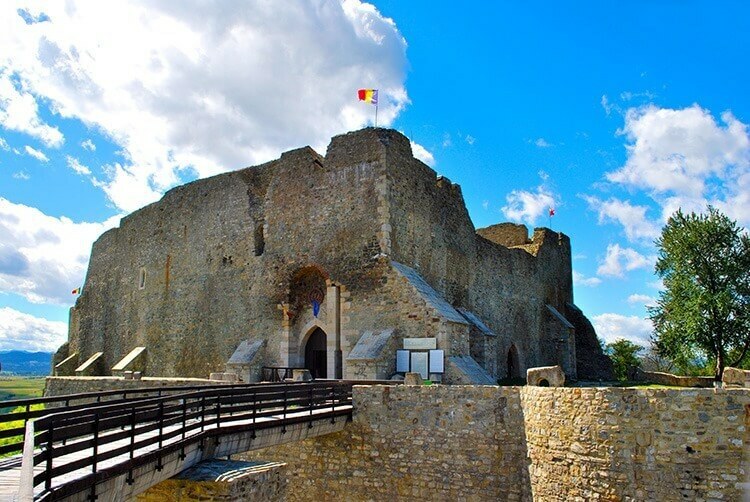 See the List of the Best Castles in Romania! Unfortunately, this castle has been left in ruins. Still, many flock to this site to see what remains of this 13th century castle as it was considered to be one of the most beautiful castles during it’s time. Located near the Carpathian Mountains, it overlooks the Arges River. While Vlad Tepes did see the potential of the castle and ordered it to be repaired, the castle was eventually captured by the Turks and he had to escape through a secret passageway. It remained abandoned for years and what led to it’s ultimate demise was a landslide in 1888. 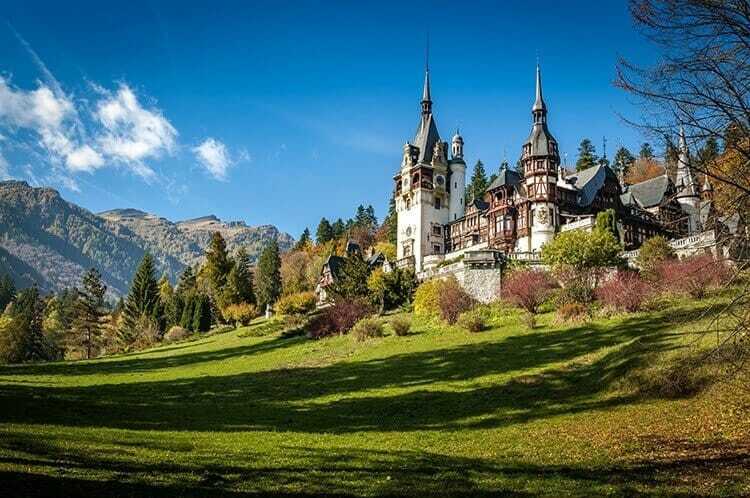 Located in the Sinaia region, this castle has trees on either side of it which creates an interesting aesthetic quality. It was built in 1873 and it took almost 40 years for it to be completed. It was constructed for the Romanian Royal Family to have a summer residence. This was the first castle in the world where the walls and floors had central heating through them. It was also Europe’s first castle that was fully electrified. Today there are thousands of artifacts on display and the interior is still in magnificent condition. This castle has a couple of different names besides Corvin Castle. They include Hunedoara Castle and Hunyadi Castle. No matter what you call it, the castle is very spooky, thanks in part to its Gothic construction. It was built in 1446 and has a reputation of being a place of terror. 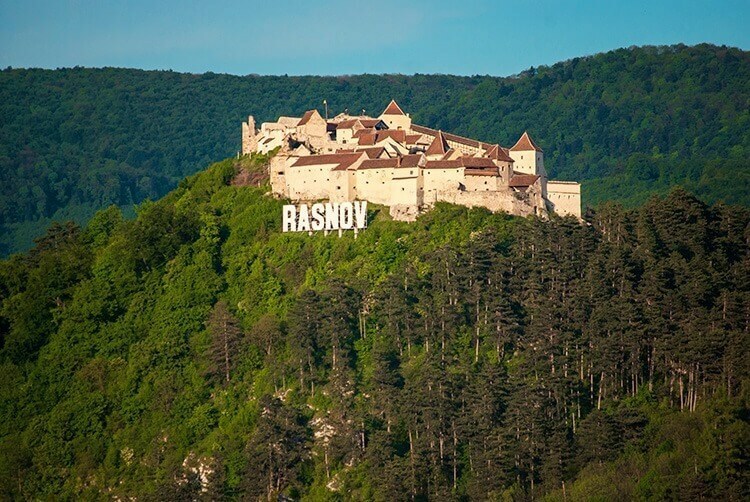 A long-running rumor is that Vlad the Impaler was a prisoner here, despite the fact that this has never been proven. After more information about this castle? Here is a comprehensive guide to visiting Corvin Castle. 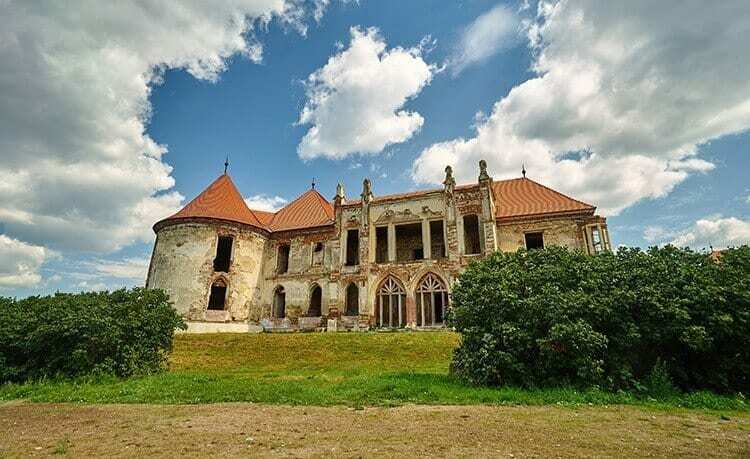 Located in the intriguing Miclauseni, this is one of the most romantic looking castles in Romania. It’s very serene and there are trees on the property of the castle that are older than the actual castle itself. It was built by the respected Moldavian family, the Sturdza’s. It has a Neo Gothic style that’s been well preserved throughout the years. Bran Castle (or maybe better known as Vlad the Impaler castle) may be Romania’s most famous castle. It was built by the Teutonic Knights on top of a wooden castle that was older. It’s become known as the residence of Count Dracula. It looks very medieval in appearance and it features many towers, stairs, and dark rooms. This Count Dracula Castle is so beautiful in fact that CNN placed it on their list for one of the most beautiful castles in the world. 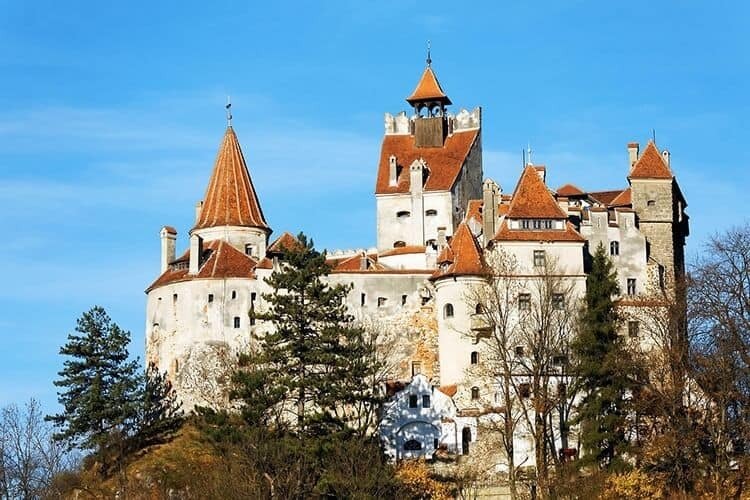 Make sure to join a Bran castle tour when you visit! Further Reading: Learn more about the legend of Dracula in Travel See Write's post about Romania. Built in 1310, this structure was built with military purposes in mind. It was reinforced in 1526 to make it stronger. It was attacked in 1541 and the ruler of it was captured. However, in 1599, Michael the Brave captured it back and then gave it to his wife. Legend has it that there is a torture mechanism at the castle that looks like an iron maiden. It has a holy icon on it, that looks like the mother of Jesus, Mary, that’s located on the chest of it. Captives are instructed to kiss the icon, but once they do, a mechanism is triggered and daggers puncture the captive’s body. Once the daggers pull back, the body falls into the Olt River through a trap door. Today, Fagaras houses a museum. This is one of the most well known castles in Romania. It was once called Transylvania’s Versailles Castle. It was first constructed out of a manor house and during the 18th century, wells, statues and a park were added to it. This added somewhat of a baroque look. The castle was used as a field hospital in 1944, but was damaged by German troops as a form of retaliation. It became so destroyed in fact that it is is considered to be one of the world’s most endangered sites. Renovations to try to save it began in 2001. Construction on this castle started in 1570 and it was completed 10 years later. Despite it being somewhat new in construction, Count Stefan Bethlen had it renovated from 1615 to 1624. Unfortunately, much of the original furniture and silverware have been lost. The Haller family claimed the castle in 1989, but sold it in 1989. Today, the castle does hold special events on occasion, including the Golden Grape Festival. The castle has become known for it’s Jidvei wine. 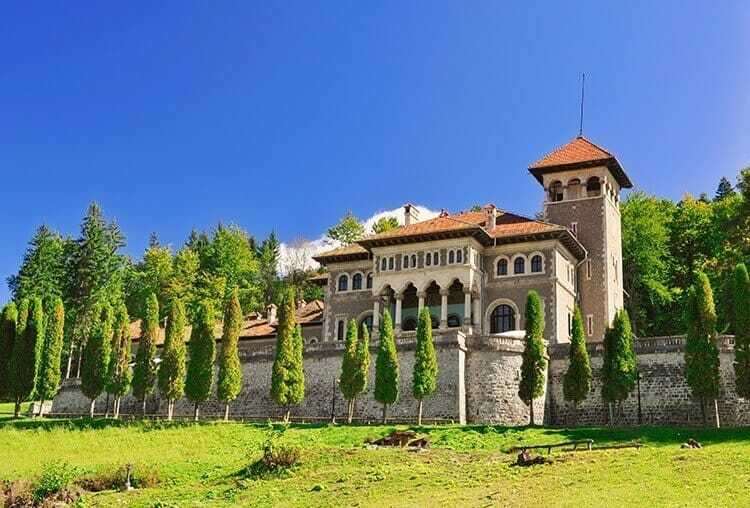 Built in 1911, this castle was part of the Cantacuzino family until 1948. It was returned to them in 2004 after the communist regime fell in 1989. It has a Neo-Romanian style to it and today it’s a museum. The original furniture of the castle has been removed and the interior has been repainted. 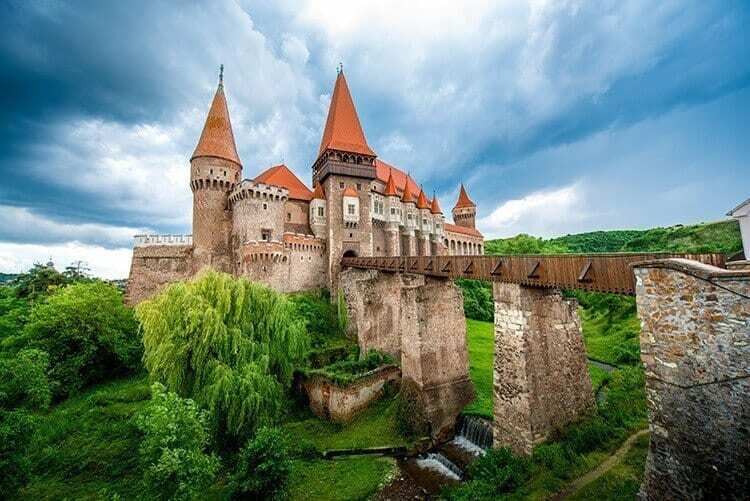 Built to be part of Transylvania’s defence system, construction of the castle started in 1211. Many individuals sought refuge here throughout the years, including, Michael the Brave. Part of it was destroyed by things like a fire and an earthquake. It did undergo some restoration in 1955. Because there was no water located here, two prisoners were forced to dig a well that took them 17 years to do so. On the walls of the well, visitors can see verses that they wrote, in Quran. As for the prisoners, no one knows what happened to them. Some legends say that after they completed the well, they were released while others say they were killed. This castle can be found in the north-eastern part of the country. It was built in the 14th century, but it was later expanded in the 15th century. It was used to provide defense from such enemies like Stephen the Great. This castle is used as a church and has been designated as a UNESCO World Heritage Site. 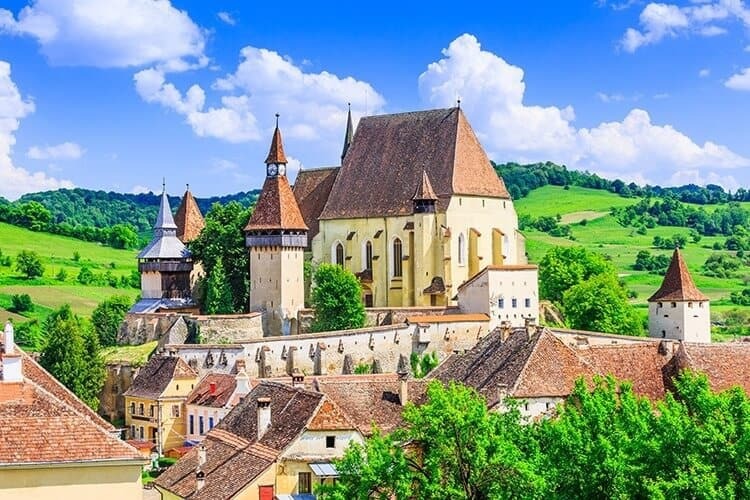 Located near the town of Sighisoara, this castle was once a stronghold in the 1200s. It has 35 foot high walls to protect it from its enemies as well as gates and towers. It has gothic architecture and wooden altars and doors. Both the Bell Tower and the Clock Tower attract visitors from near and far. The story behind this castle is very touching. Bogdan Petriceicu Hasdeu, lost his daughter Iulia to tuberculosis at the young age of 19. She was the first woman to ever be granted admission to Paris’ Sorbonne University. Hasdeu wanted a way to pay tribute to his daughter and he did so by building the castle. He claimed that her spirit communicated with him and was designed by her during spiritism sessions. Hasdeu actually had a room designed so that it would best allow for Iulia’s spirit to visit it and communicate with him. Which of these castles of Romania would you like to see most? Please Pin me for Later Reference! 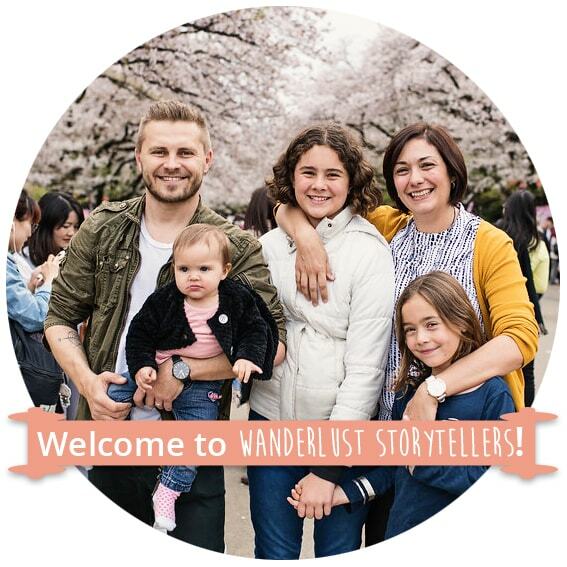 Hi Jolene, I loved this post about Romania’s castles as I think these are some of our best tourist attractions. I would also add the Tepes Castle from the Carol Park in Bucharest and the Pekri Radak castle from Mures county. There are also others, but sadly some of them are in ruins. Thanks for the two adds!! I love it when a country is filled with castles to scout out! Sometimes those castles in ruins are still beautiful in their own way but wish there was more money sometimes to keep them preserved.